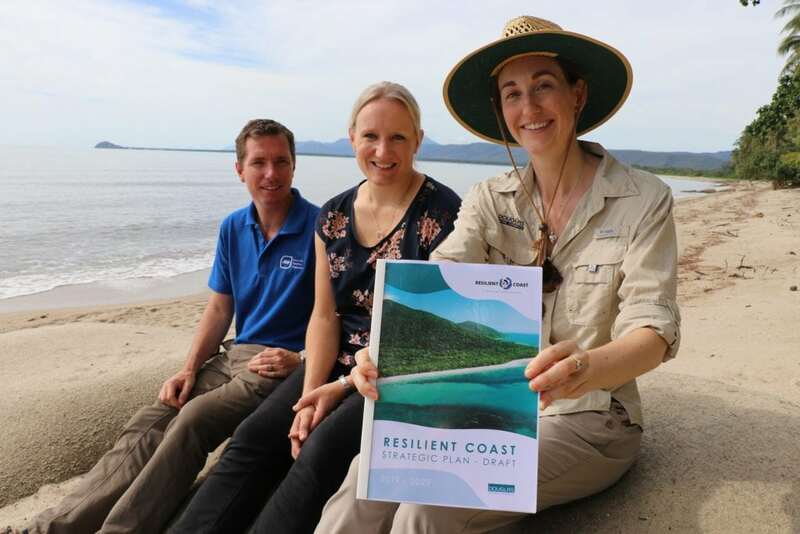 A TEAM of coastal scientists, engineers and economists have become the first in Queensland to finish a 10-year scientific strategy that will give Douglas Shire the tools to proactively manage and mitigate the impacts of coastal hazards. Douglas Shire Council used the highest level of technical analysis and feedback from locals to develop a draft Resilient Coast Strategic Plan. The document is available for public comment until April 21. Douglas Shire Mayor Julia Leu said the plan provides more certainty for a region already dealing with the impacts of erosion and storm tide inundation. “This strategy equips us with the knowledge to proactively plan for future coastline impacts,” she said. “Coastlines are dynamic, ever-changing with each tide and storm. The State Government and Local Government Association of Queensland (LGAQ) provided funding under the QCoast 2100 program to enable Queensland coastal councils to develop a strategic approach to managing coastal hazards. Douglas Shire Council created the Resilient Coast program and becomes the first council in the state to finish their draft strategy. The plan breaks down Douglas Shire by township and provides proactive steps for Douglas communities and Council to mitigate the impact to these localities, from now to 2100. Some key actions include maintaining foreshore vegetation, preparing Shoreline Erosion Management Plans (SEMP) and increasing dune protection. Alluvium Director Dr Elisa Zavadil, a coastal geomorphologist and engineer with over 16 years’ experience, said the strategic plan used best-practice approach to all technical assessments and strategic planning. “Douglas Shire is prone to cyclones and storm events, and coastal hazard impacts are predicted to increase,” she said. JBP Director Daniel Rodgers, who is a coastal engineer with more than 13 years’ international experience, said the strategy used best-practice modelling in coastal engineering. “This document provides the best long-term prediction of coastal hazard areas over the next few decades,” he said. Community workshops were held in May and October 2018, at multiple venues including Mossman, Cape Tribulation and Port Douglas. Two community surveys and online knowledge sharing was also completed over 2018. Council’s Sustainability Officer Nicola Learmond said the plan allowed Council and public to better prepare for the coastal hazards. “We have a strong sense of community stewardship in Douglas Shire, and our strategic plan will continue to foster the shared care of our spectacular coastline,” she said.